My first book was published in August 2016. The foreword was written by Sandra Ingerman. It covers all aspects of performing spiritual or shamanic work with children and young people. It is aimed at anyone who has an interest in young people and their spiritual journey. It covers the spiritual needs of all age groups from "in utero" until age 18+. 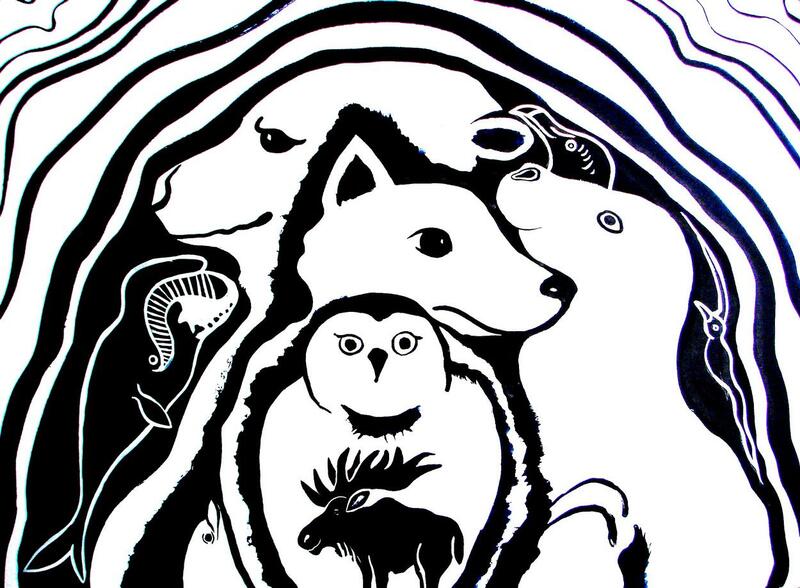 It explains what shamanic parenting is and describes ways of doing spirit-led work, even with unborn babies and spirit children (after miscarriage, abortion or early death). It provides 30 "tried and tested" session plans for people looking for inspiration and "where to start". You can order the book on amazon and from most quality bookshops. Signed copied are available from the author. 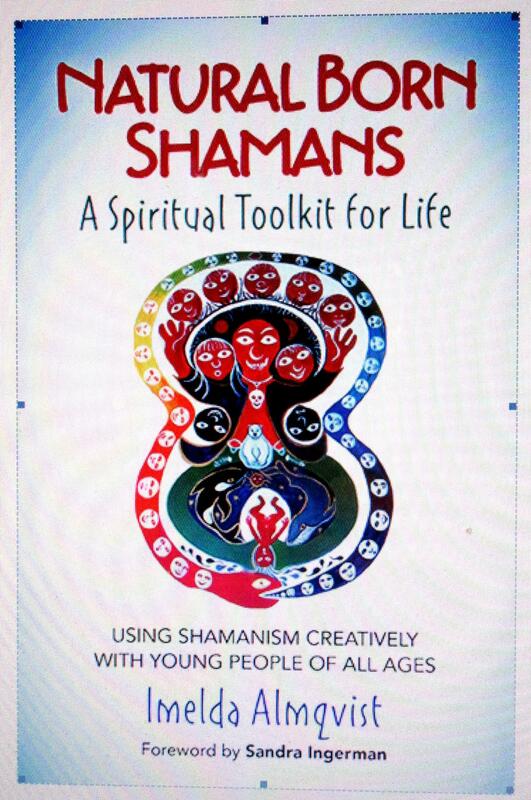 This book is used by many shamanic practitioners and teachers all over the world in their classes and work with families! 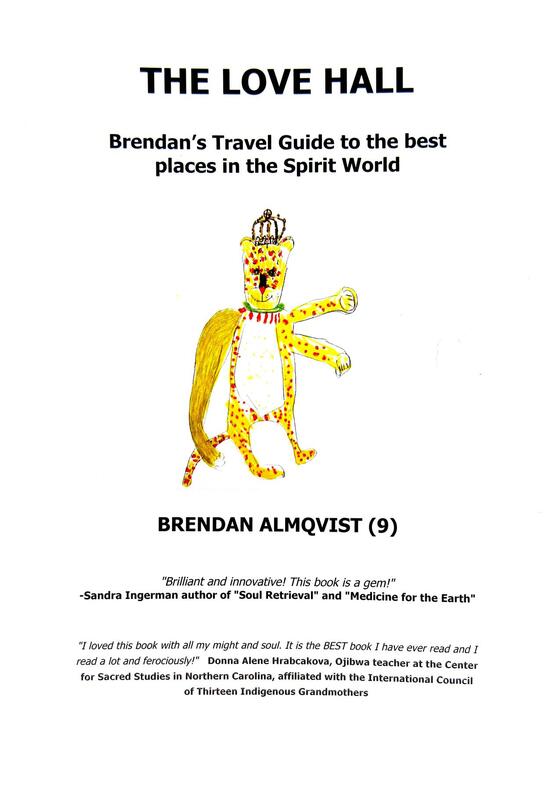 When he was nine years old our youngest son Brendan's greatest wish was to be a published author. He spent hours scribbling and drawing every day. This charming small book gives a child's simple yet profound view on spiritual matters and shares guidance and shamanic journeys received from his own spirit allies. Many of his journeys evolve around a he healing place he discovered, called The Love Hall. We published the book as surprise for his 10th birthday (that morning he received a box full of his own books!) To our surprise it turned out to be a "bestseller" and there have been four reprints and editions so far. We are very grateful to Sandra Ingerman who encouraged Brendan to keep on writing and, once the book came out, gave it a beautiful announcement in her May Transmutation News in 2014. We are also grateful to Donna Alene Hrabcakova, an Ojibwa teacher at the Center of Sacred Studies in Ohio for writing a longer review of Brendan's book and teaching him some Ojibwa words! We thank everyone who supported Brendan by buying a copy of this book. This has encouraged him to find his voice and confidence as a young spiritual person and visionary! Also see Brendan's film about Forest Magic and Healing Potions! will be published by Moon Books in the Autumn of 2018. It makes a plea for healing the divisions within the world of art and restoring sacred art to its rightful place in our awareness. For most of European and world history all art was sacred art! Making sacred art means stepping outside the realm of egoic consciousness to become a hollow bone for spirit. When we connect to this force greater than ourselves, creative blocks do not exist.Creativity is our birth right and the greatest piece of art we will ever make is our own life! I write regular blogs on https://imeldaalmqvist.wordpress.com/.